Do you love to travel and discover new destinations and sites? On your travels, what role does “food” play? 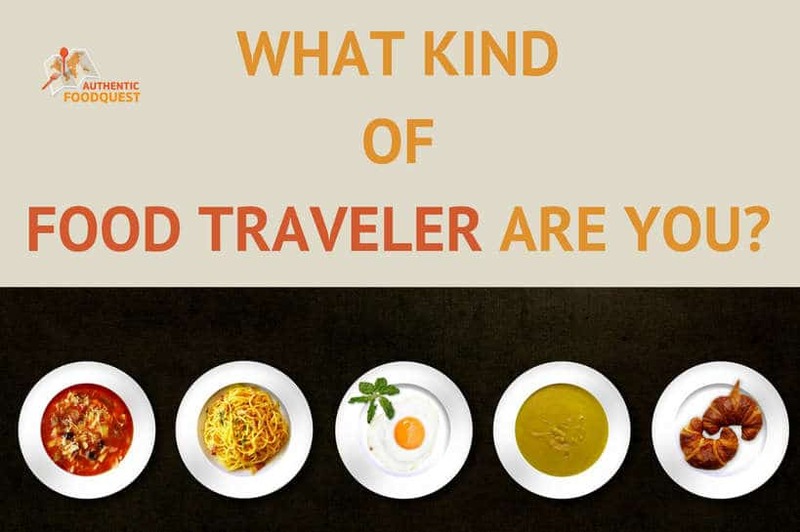 What kind of food traveler are you? Some people design their trips around food, while others “figure it” out when they get there. For you, is food a big part of your travel or is it an afterthought? Food and Travel: How Deep Is Your Bond? 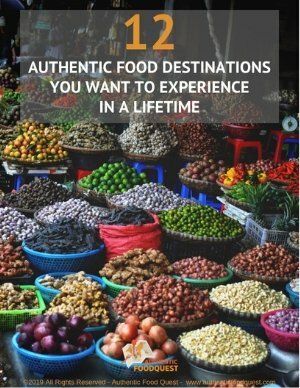 What’s Your Approach to Food Travel? Are you the type of person that can’t wait to discover new recipes and unique spices and ingredients. Perhaps even take in a cooking class and learn how to make the local cuisine. Or, would you describe yourself as adventurous in your eating? You’ll wake up early to chase down the morning soup or make a special trip to the fish market to see the fresh seafood.You don’t mind eating on the streets or at the markets, with the locals. Or maybe, you’re a “safe eater.” You want to experience the local food but at delightful local restaurants. Not “tourist trap restaurants” but those recommended by locals. You want to savor the local flavors at local restaurants. There is a great quote from Anthony Bourdain, American chef and TV personality, that asks a simple but fundamental question. 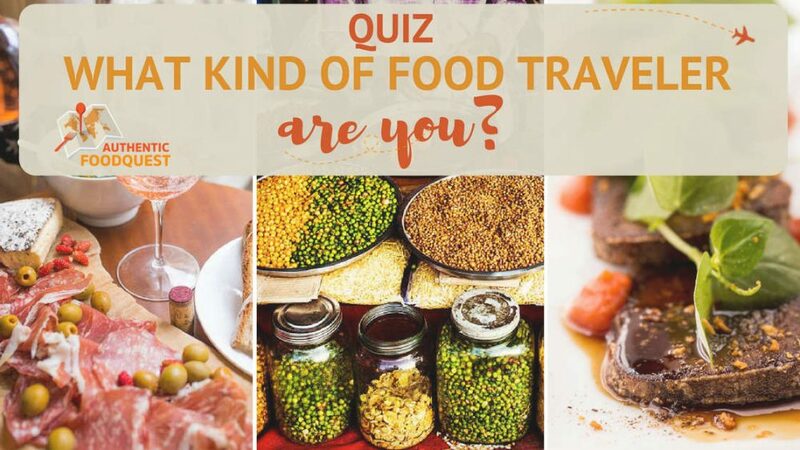 The way you answer this question says a lot about the kind of food traveler you are. At Authentic Food Quest, our goal is to inspire you to travel through the local flavors of a destination. To become immersed in the local culture through food. 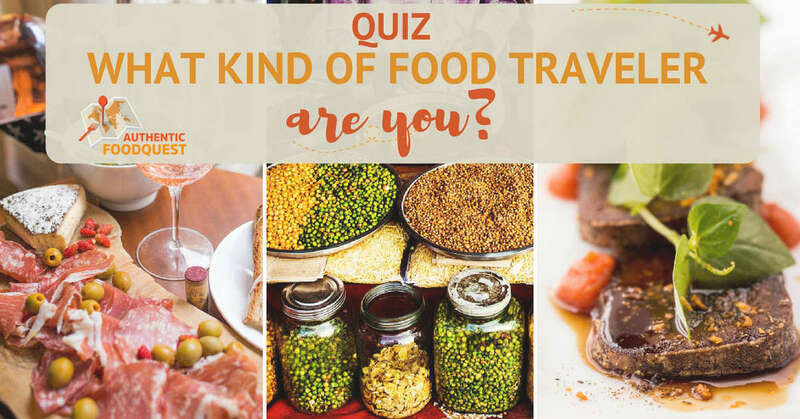 As you think about food and travel, take the quiz to help you determine ‘what kind of food traveler you are’. Discover your food traveler profile. 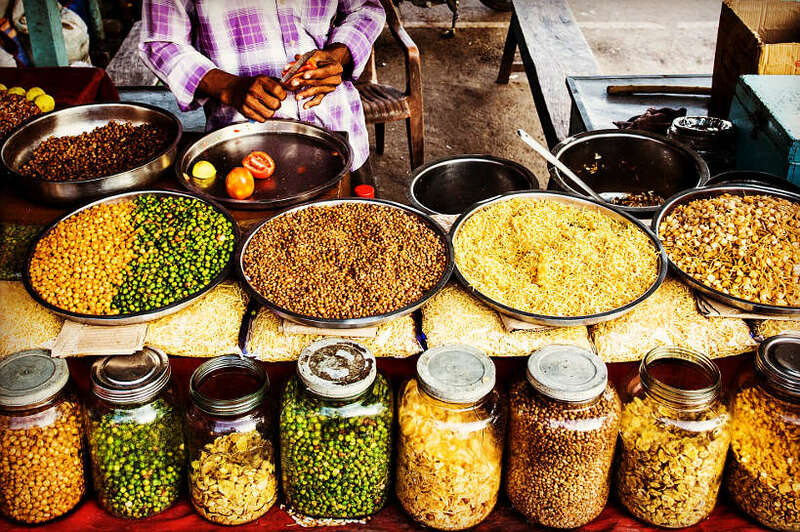 Get personalized tips and recommendations on how best to explore a destination through food. Discover new destinations and food experiences that match your profile. Open up the possibilities and experience your travels through food. Click this link to take the quiz. Have fun as you discover your food traveler profile. Approach your next trip more deliberately through food and discover something new about the destination and yourself. What a neat quiz! I never thought of myself as a food traveler before but it looks like I’ve become a bit more adventurous over the years! Thanks for sharing! Fun post Rosemary! I am a Sipper – always good to know where i lay in the scheme of things. I like to think i have improved my foodie ways over the past few years. Hidden gems and quality food outweigh eating fast food…unless it’s in the USA, then I try them here and there to see what the fuss is about – though it’s often not that great! That’s awesome to read Toni. So glad you enjoyed the article and discovered your sipper profile. What local drinks have you discovered recently? Agree, totally, hidden gems and quality food outweighs fast food anytime 🙂 Thanks for playing. I’m definitely a traveler that likes to try all of the local food rather than the tourist spots. Awesome, Jen. The best food spots are always the local joints!! This was so fun!! I got a different result on the quiz than I was expecting too. I tend to think I’m more of a safe travel eater, but we do go to local markets and little shops a lot to try and find new things. Great post. That’s awesome to read Hayley. Out of curiosity, what profile were you expecting? Indeed the local markets are great places to discover unique gifts and items. Thanks so much. haha seems like am a RESTAURANT SEEKER! It is true , I do my research before I travel where to eat. And I am definitely the safe eater too even though I love to eat! Yes, all those street food places are great but unfortunately you don’t know if you won’t get your stomach pain after and this is the last thing I want while I am travelling. I do love try new things but as long as its a nice clean place. Indeed, a true restaurant seeker, who is concerned about the environment 🙂 Be sure to check out all the unique authentic restaurants on the website for amazing local food in “safe” environments. Thanks, Ada. I have to admit, I’m not the most adventurous when it comes to food. I worry about getting anything from a street vendor. I hesitate to try something new. I see so many wonderful food tours and options to experience local cuisine, but I just never do. You have to go past your fears, Jamie 🙂 Take a food tour or cooking class. You can be sure you will be taken to clean and safe places. Don’t miss out on a rich local experience. Check out the cooking classes and food tours on the website for places to get exposed to the local food. You will not regret going deeper through food!! Food is so important when I travel! I always research restaurants before my trip and make a few reservations at places I know I must try! Ahh, so you must be a restaurant seeker. Any favorite places you discovered recently? I got restaurant seeker! No surprise there but I’m definitely also a safe eater. Love my beauty sleep too much to be waking up early chasing after soup hahaa. That’s awesome to read Jas…we’ve done the early morning food experiences and can appreciate the need to sleep in..lol! What local restaurants have you discovered recently? Thanks for stopping by. Thanks so much Madhu. Indeed given that you are vegan, a lot of research needs to take place in advance. The good news is that you can still find some local vegan food. Thanks for playing. I have become a more adventurous eater, for sure. So a little more like my fellow NJ-ite Bourdain because I am hitting those off the beaten path spots for some different fare. Perfect case; I went to 2 neat little restaurants in Yangon earlier this year that I never would have visited in the past. I’d have feared getting sick but am slowly and steadily venturing outside of my food comfort zone. Good to read that you taking small steps outside of your food comfort zone. So, did you get sick at the restaurants in Yangon? Or was it more like your fears? Slowly but surely you’re expanding your comfort zone…keep it up!! Apparently I am a sipper! I don’t travel for food, and I cannot cook to save my life, but I do love trying new things wherever I go and it’s one of the most important parts of travel. I will always try something different on a menu! 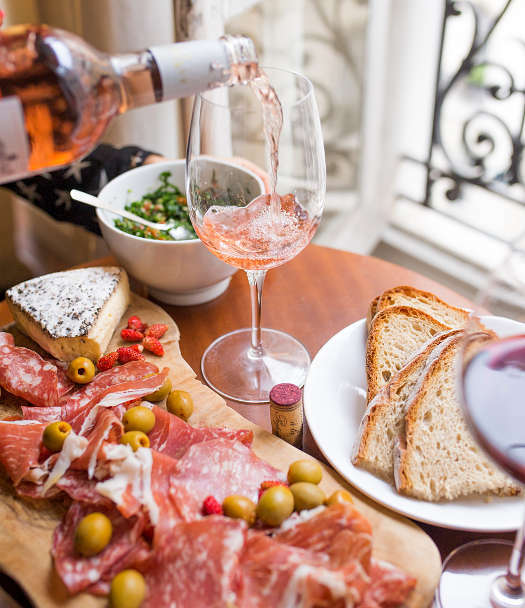 That’s great that you are a sipper and you make it a point to try something different on the menu when you travel. Do you have a recent favorite food discovery? Appreciate you participating in the quiz, Clazz. What a fun “quiz.” I’m an adventurous eater. Getting out and eating where the locals eat is one of the best ways to experience the culture. I adore culinary travel! Most often than not I take local food tours in the destinations I visit, it gives a great insight to the local culture and eating habits. Food plays such a great role in my travels that sometimes I choose a destination just for food (wink wink) Experimenting local cuisines are a must,, especially visiting the markets and conversing with local chefs to know more about the local flavours! 🙂 The quiz was awesome! I am a restaurant seeker:) Yay! 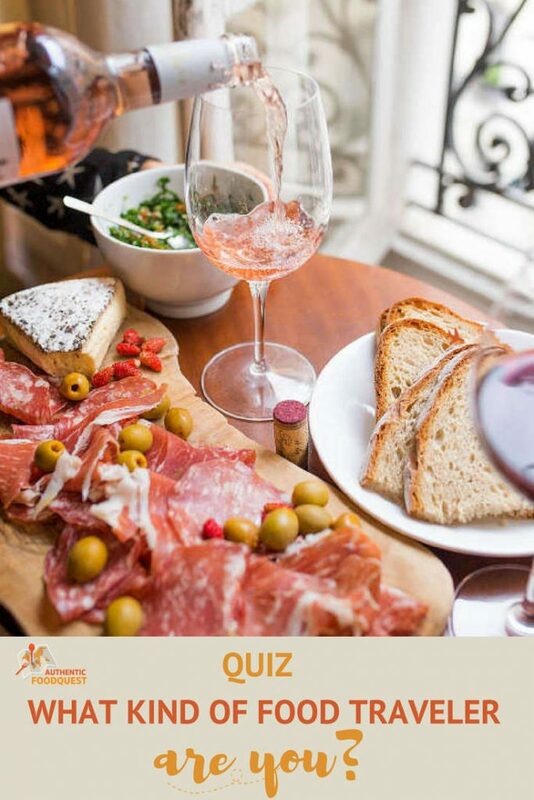 As per your quiz, I am an Artisanalee 🙂 I am very adventurous when it comes to trying new foods – it’s a very important part of my travel that I try local flavours and dishes. I particularly love the food in South East Asia! Yes, we love the food in Southeast Asia as well, particularly Penang, Malaysia. What’s your favorite Southeast Asian cuisine? Trying the new local foods makes for a wonderful travel experience. I’m definitely the “food is an afterthought” type of traveler. As much as I love experiencing my destinations like a local in order to truly understand the culture, I am unfortunately an EXTREMELY picky eater. I’m the type of person who eats because it’s required to live, not because I particularly enjoy eating. So, most of my food choices usually just revolve around whats in the area and what won’t break the bank. Wow, that’s an interesting approach to food. Eating for sustenance and not for enjoyment. If food is challenging for you, what about the local drinks? Have you considered tasting the local culture through the drinks? Try this instead and let us know what you discover. Cheers!! I do travel to eat so it’s no surprise I’m an artisinalee. From mechoui (whole roasted sheep) in Morocco to pastel de nata in Portugal I’ve eaten quite well on the road this year. Awesome to read Brianna, another artisinalee! Wow, what a wide range of food this year alone. Any particular favorites? Thanks for playing Brianna!! So glad you enjoyed the quiz, Linda. Sounds like you and your husband have very different food traveling styles. Though it seems that you are both open and that makes for a wonderful, shared experience. Hit reply and let us know some of your recent favorite restaurants. Cheers. I am a food traveler through and through – I am convinced I travel to some places JUST to try the food there. I don’t have any allergies and there is only 3 foods I do not like – so I am quite adventurous. Yes, love it when folks travel just for the food 🙂 Being adventurous with food is so much fun. Out of curiosity, what are the 3 foods you don’t like? Thanks, Nicki! What a great quiz! I love discovering new things to eat and the first place I head to is either the street food area or a farmers market. I have had some amazing food on my travels this year. Glad you like the quiz, Janine. What was your food profile? That’s awesome to read that you’ve had amazing food on your travels this year. Any particular stand out favorites? Cheers.